Houston native rapper Bun B has teamed up with SB Projects founder Scooter Braun to present Hand in Hand: A Benefit for Hurricane Harvey Relief telethon to aid those affected by Hurricane Harvey. The one-hour special will be based in Los Angeles with stages in New York, Nashville and a special performance by Country Music icon and Texas native George Strait from his San Antonio benefit concert. Hand in Hand will air live on ABC, CBS, CMT, FOX and NBC on Tuesday, September 12, 8:00-9:00pmEST on the East Coast and replay 8:00-9:00pmPST on the West Coast. The show will also be available internationally via live stream on Facebook, YouTube and Twitter starting at 8:00pmEST during the first broadcast. Hand in Hand will bring the country together to raise funds, spirits and help rebuild Texas in the wake of this unprecedented devastation. Proceeds from the telethon will benefit United Way of Greater Houston, Habitat For Humanity, Save the Children, Direct Relief, Feeding Texas and The Mayor’s Fund for Hurricane Harvey Relief (administered by the Greater Houston Community Fund) through the Hand in Hand Hurricane Relief Fund managed by Comic Relief USA. The broadcast will feature appearances, performances, taped tributes and messages from some of the nation’s biggest stars including George Clooney, Jamie Foxx, Karlie Kloss, Beyonce, Matt Lauer, Rob Lowe, Matthew McConaughey, Norah O’Donnell, Dennis Quaid, Julia Roberts, Kelly Rowland, Adam Sandler, Ryan Seacrest, Michael Strahan, Blake Shelton, Strait, Barbra Streisand, Oprah Winfrey and Reese Witherspoon with more to be announced. Strait, a Country Music Hall of Fame member who is leading the country music world in these efforts, will perform directly from his benefit concert at San Antonio’s Majestic Theatre. Phone lines, text messaging, and digital donations will be open at the beginning of the show and will conclude one-hour after the show ends. For more information, updates and a link to donate, please visit www.HandInHand2017.com. 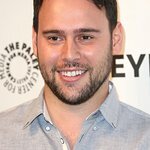 The Hand in Hand broadcast will be produced by SB Projects and Den of Thieves with Scooter Braun, Bernard ‘Bun B’ Freeman, Allison Kaye, Jesse Ignjatovic and Evan Prager serving as Executive Producers. Additional Executive Producers are Chris Choun, and Lee Lodge with Jordan Brown, Penni Thow and Barb Bialkowski serving as Co-Executive Producers.